A torque wrench is a great tool that allows you to secure a nut or bolt correctly. There are many different types of wrenches out there. However, nothing compares to the precision of the torque wrench. #3 – Set of 3 Pittsburgh Pro Reversible Click Type Torque Wrench Sizes 1/4", 3/8", 1/2"
As the name suggests, this kind of wrench focuses on securing a metal fastener by applying its precise torque. Many times, you’ll often notice that box wrenches and open wrenches are simply used to tighten nuts or bolts. These are common in many industries, with the automobile industry being a good example. However, some bolts and nuts will break or loosen if the precise torque is not applied. This is crucial in the performance of vehicles because the wrong measurement can potentially damage not only the efficiency of the car but also threaten the safety of the driver. Some of the best examples where you’ll need a torque wrench are using it in critical parts of the vehicle such as the tires, spark plugs, and transmission. If you’ve noticed, these areas of the car are either move steadily or provide something crucial that the vehicle can’t operate without. 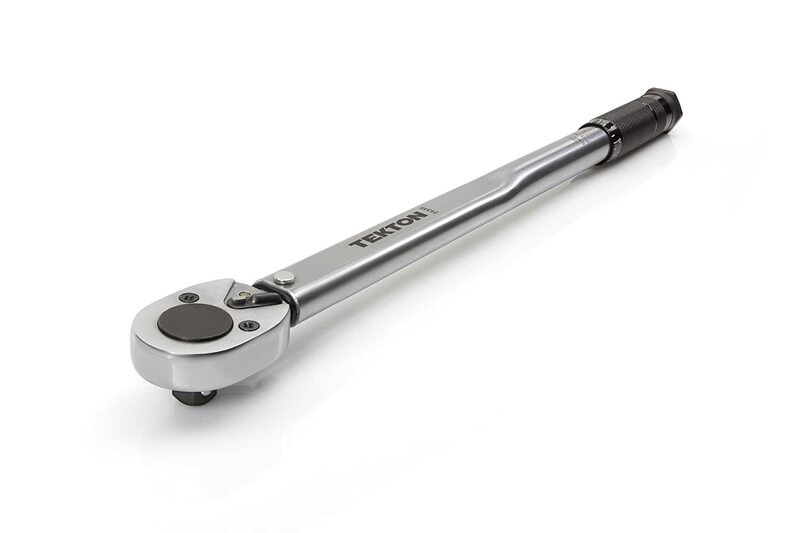 On the other hand, Tekton boasts of the different packages that go along well with the torque wrench. Aside from the torque wrench itself, you can also buy the package deal with a four piece adapter set or the torque wrench with a breaker bar. 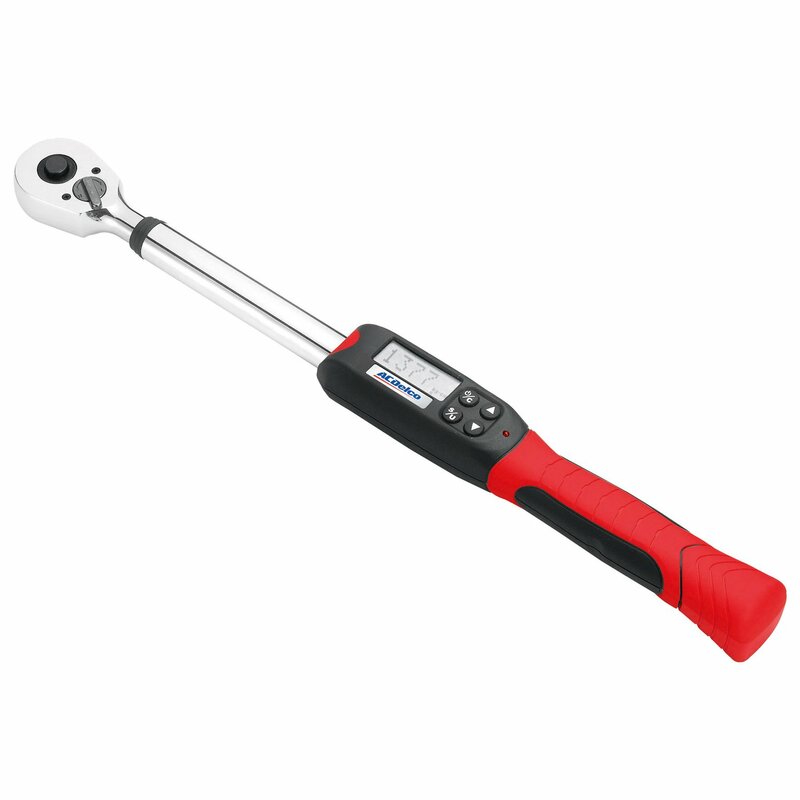 CDI’s Snap-On Industrial Torque Wrench also works as a drive adjustable micrometer. Its torque range is between 30 to 250 feet pounds. It also comes in different sizes and styles. 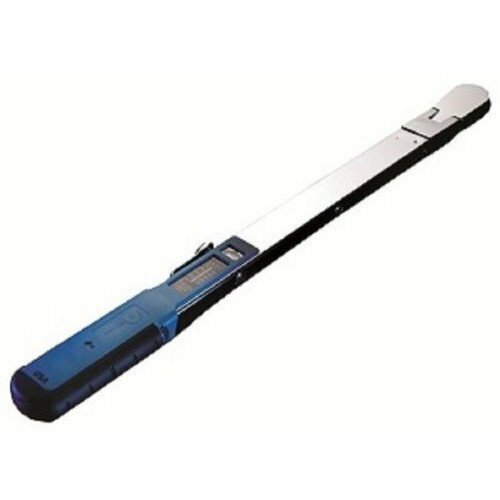 This metal torque wrench is dual scale, also calibrated for dual direction. 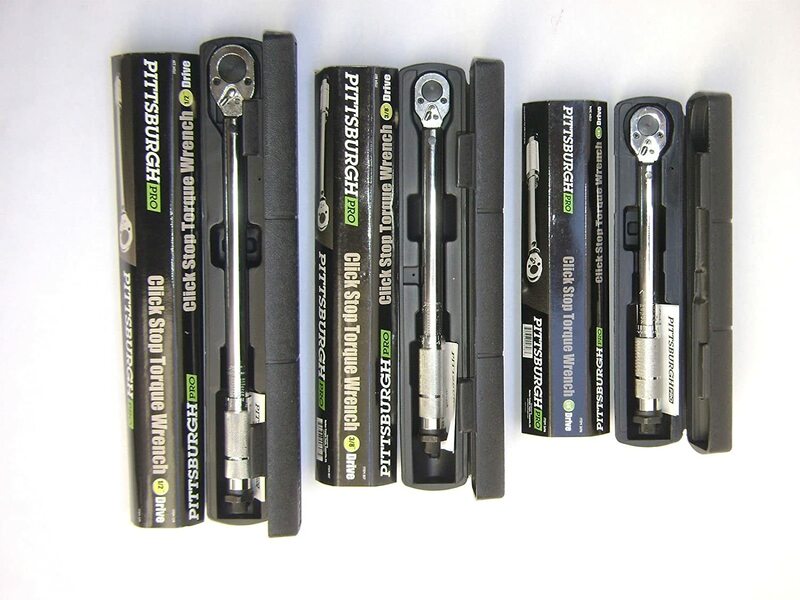 Just as mentioned in the heading, Pittsburgh’s pro-reversible click type torque wrench comes in a set of three. The sizes available in the set are ¼”, ⅜” and ½” inch. It comes with a heavy duty cam and a pawl mechanism. Its click type accuracy is within +/-4%. 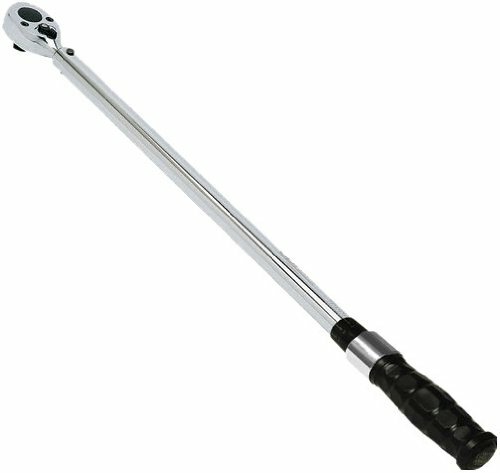 Precision Instruments’ Silver ½” Drive Split Beam Torque Wrench offers an ergonomic grip with a flex head. It is made from Nickel/Chrome finish which are excellent anti-rust or corrosion materials. Finally, ACDelco’s Digital Torque Wrench is ranged at 4 to 99 feet pounds. The is pretty small compared to other brands of torque wrenches. However, it operates well in both clockwise and counterclockwise rotations. When you buy a torque wrench, it would usually be packaged in a box that is similar to its frame’s length. It’s almost like you’re buying a box of wine. One of the first things that you should look for when purchasing a torque wrench is its certificate of calibration. Every torque wrench should have a manual in its package. You’ll see all the details and instructions on how the torque wrench operates here, specifically the brand that you bought. Your torque wrench isn’t a wrench on its own, unlike the boxed or open wrenches. It’s simply a ratchet with a handle but without a socket. The purpose of this extension is to connect the socket to the ratchet. And since you’ll get more distance away from the nut, you’ll have an easier time loosening or tighten it. The ratchet is the head of the wrench. It’s where you connect either the sockets or the extensions. Typically, this ratchet is where you can see if the rotation of the torque wrench is working just fine. On the other hand, the handle is where you can calibrate your torque wrench. This will give you the best leverage and ensure your car and wrench are safe from damaged. At the end of the day, there will be mixed reviews about all these products we’ve listed above. 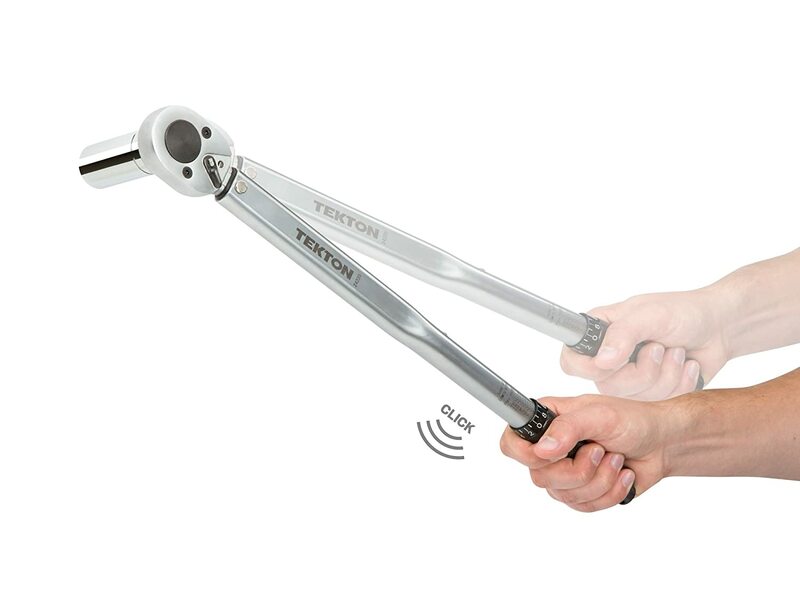 However, based on the most significant things to look for in torque wrenches and other reports, we find that Tekton’s Drive Click Torque Wrench might be a good option.